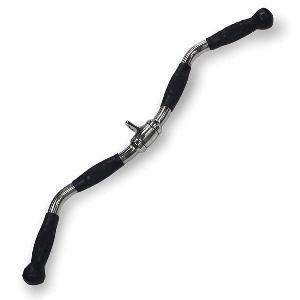 The Pro-Grip Revolving Curl Bar is biomechanically designed for the most complete arm development possible. Two sets of comfortable knurl-textured rubber grips allow close-grip or wide-grip curls and triceps press downs with flawless control and balance. Angles on this bar were designed specifically for peak bicep and triceps contraction.